Sooo, earlier this year I decided to change our commenting system and installed Disqus. And I've really been liking it and love some of the features so I'm glad I did. I know some of yall are new to it and others are having some problems so I thought I'd do a Randomly Random on it and some of it's features. Some are pretty important for bloggers/authors so check em out and let me know what you think. If there are others feel free to add those in the comments too! If you're having trouble with Disqus feel free to email me (acade29@gmail.com) or hunt me down on Facebook and I'll help ya out. Soo, getting started. When you first go to make a comment you'll get this little log in with the 4 options on the left. 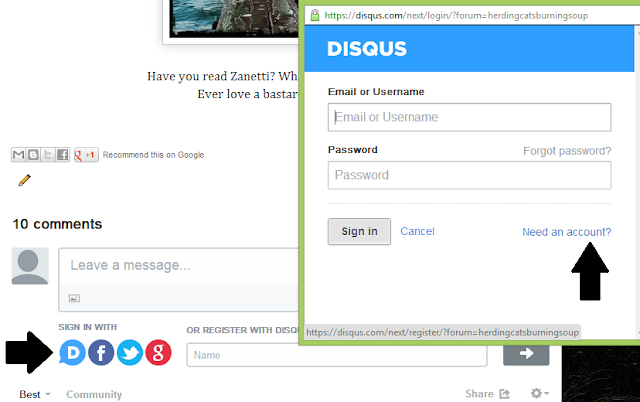 I use D which is Disqus' own log in option. 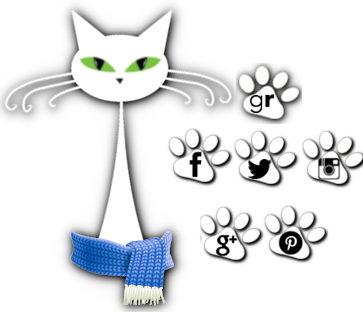 But you can use your Facebook, Twitter or G+ accounts as well. Just click your choice and follow the directions. If you opt for Disqus it'll pop up that little window on the right and you click on 'need an account'. You'll then have a little filler icon but it'll show you're posting as you now! Click on your little icon. Then click to edit profile. This is really important if you're a blogger or author since you want people to know who you are and how to find you. Once you click edit you'll get this account window. 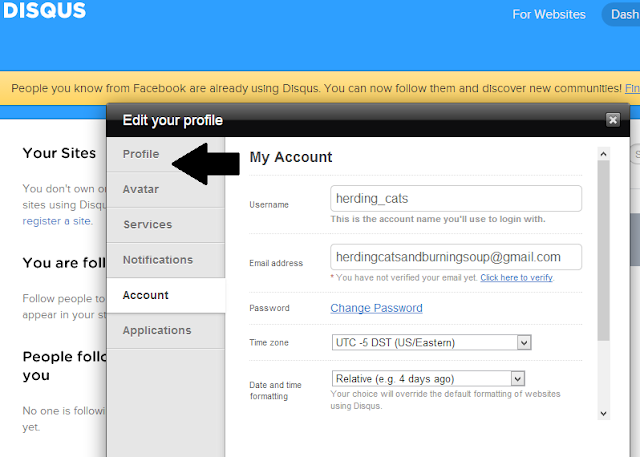 You can change your name, email address, etc. 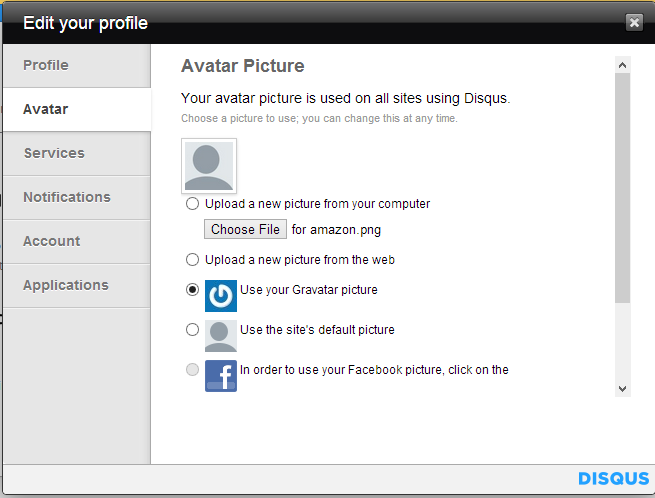 Then click profile. 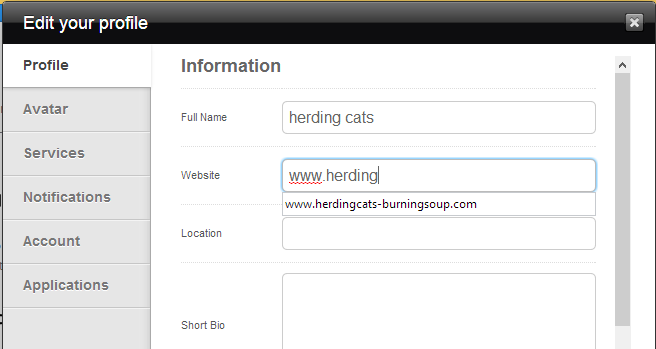 And you can add your website/blog address! This will be how people get back to your blog or find more info on you. Otherwise we've got no clue other than your name to get back to you or even know you're an author/blogger. So really important to do this step. You can also add in a bio, location etc. Next up is changing your avatar. You can use anything you want. 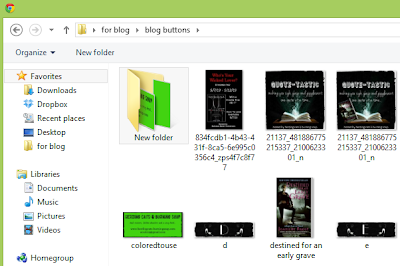 I use our blog button for mine. Now the fun!! You can add pictures to your comments!! How freaking cool is that? Just click that little rectangle with the tiny mountains. It'll open up your files and you just pick and choose like normal. Look how cute! Then just post it by clicking on the right there. And you've added a picture to your comments. This is great for man candy posts and kitty posts. Just saying. 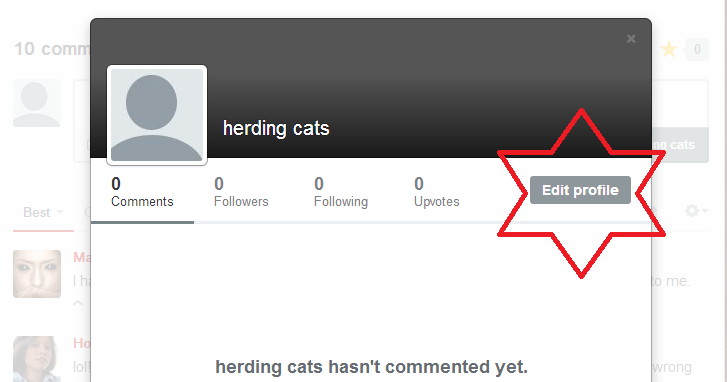 Another great feature is that you can edit your posts. Thank the Lord because I am forever making blips on things and you can just click edit, type away and save it. Woot! 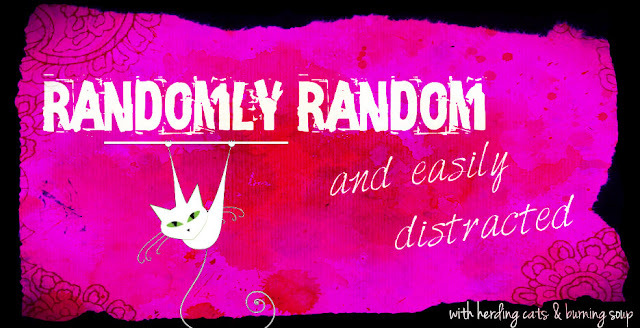 One last thing that's great for authors is the subscribe via email. 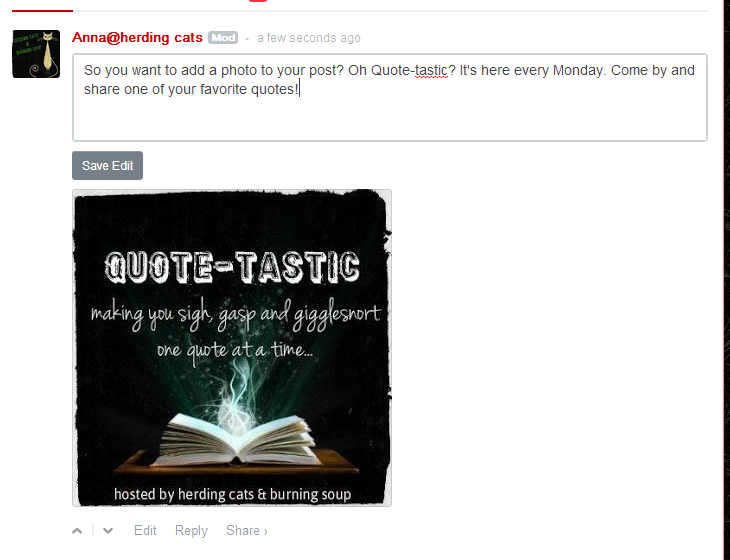 Click on that and you'll get replies to guest posts/interviews/etc so you know when someone's stopped by! Also, authors. 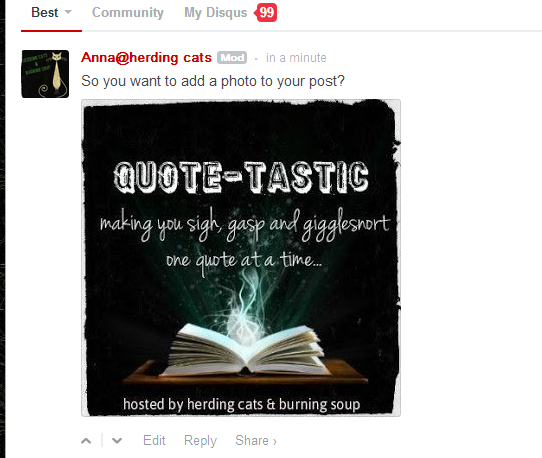 With Disqus if you reply directly to someone they'll get an email with the comment from you. If you just create your own comment --one that's not a direct reply to someone the only person who will get notified is me (or those who subscribed via email)-- so direct replies are best if you want to make sure someone knows you commented back at them. Have any other tips and features you love about it?